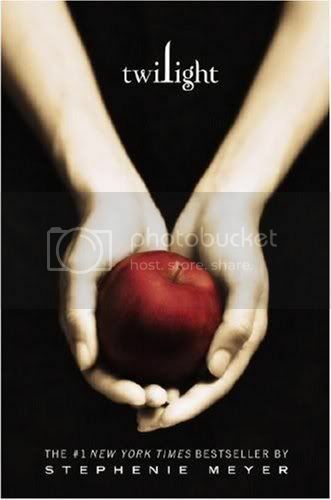 When I first saw this book in the stores I was curious because it had an interesting cover, just a pair of hands holding an apple and also an intriguing title, Twilight. So I bought it, wrapped it up nicely and left it at my bookshelf. For months it sat there, probably 3-4 months, in the mean time I was reading "Heroes: Saving Charlie". When the movie was out, only did I realise it was made into a major motion picture, but I didn't get the chance to watch it, will wait for the DVD though. There fore I decided to pick up the book and read it before watching. I like to see how well the book was implemented in the movie. 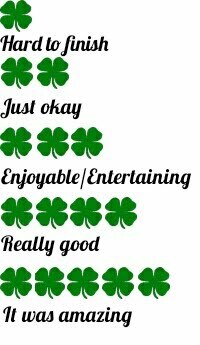 I was really disappointed at Harry Potter movies, there were many parts that are worth being shown but not found in there. Stephenie Meyer did a good job describing the characters, therefore I have a good image of how they look like. I already know that this book is about a vampire love saga because of the summary. It's almost similar to the tv series Angel, vampire who is good and kills other demons and vampires. But of course our heroine is not like Buffy, she is just an ordinary girl who fell in love with a vampire. Vampires in this book is different, they are not the typical turn to dust under the sun vampires. Nor are they the type that is afraid of garlic and crosses. You see they go to school, that how Bella met Edward. Not because he was looking for a prey and he fell in love with her. Nope, they are classmates in a biology class. Now Edward ignores her acts weird with her, that triggered her to find out what's wrong with him. The interesting parts thus begins with her curiosity. I would say that the book is partly predictable, as you can tell what's coming for the starting of the story and somewhat into the middle. Well the climax is what's got me reading on and on, many of the mysteries and questions in your head are likely to be revealed. It's definitely unexpected and fresh, compared to other books from this genre (fantasy and love). It circles around family, friends and love. There isn't action such as fighting, because a typical fantasy book will have it. I put it in the fantasy side because it involves monsters that are not real. In the end, you'll figure how the title ties to the book.The good thing of this book is the writer builds the characters really well, a bit of mystery and some clues to get you guessing. I would definitely recommend this book for reading before watching the movie, because the movie might give a bad impression to discourage people to read. Happy Ox Year!! Happy Chinese New Year! !